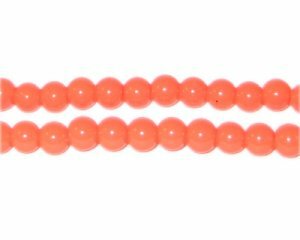 These are 6mm Orange Team and School Glass Beads on a 16" string, approx. 73 beads. Thank you so much for a great product, awesome prices and quick service. I've placed 4 orders thus far and plan to purchase again! Amazing low prices for fast delivery and quality beads!! Will order from here first from now on and recommend to all friends!! Dollar Bead is a Gem!